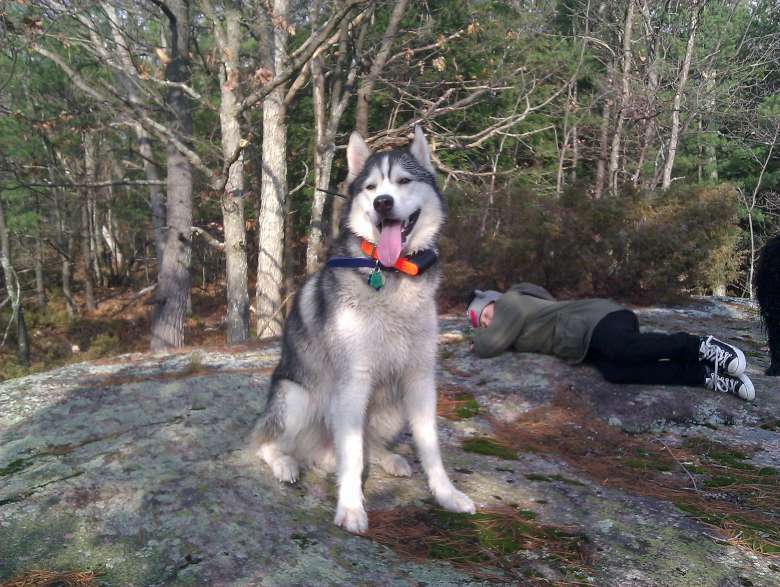 Took Taiga out for a nice hike on top of some huge rocks in Port Carling, Muskoka, this past weekend. 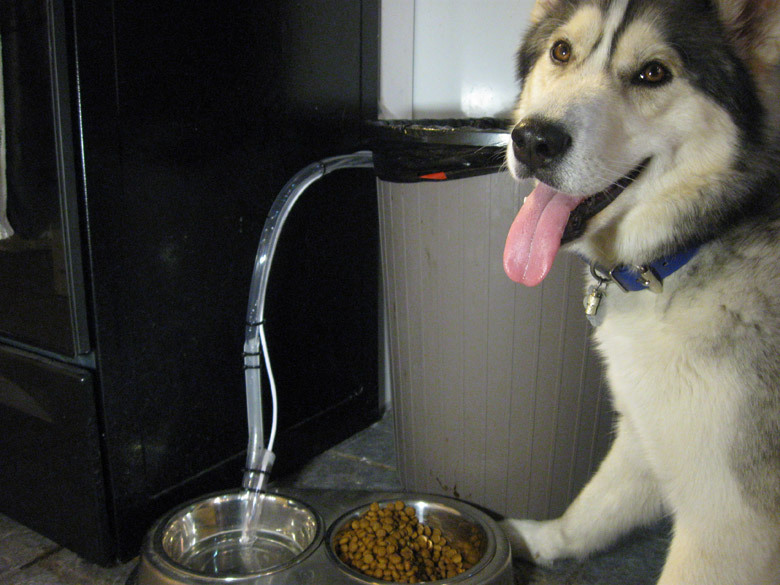 The orange collar and chunky black thing is his new GPS tracking collar, which is awesome. UPDATE: I've added another 8 bulbs and updated this article. So it's that time of year where by 6:30pm, the sun has set and it's dark out. To make matters worse, next week, the clocks will fall back an hour, meaning the sun will set an hour earlier each day. So by 5pm, it will be pretty dark outside. People keep bugging me for the code to the PopCARD server software, so here it is. I don't use facebook -- I've yet to find a hole in my life that it can fill. But sometimes you need a facebook account to see something, so I registered a fake account just so that I'd have a way of seeing them. 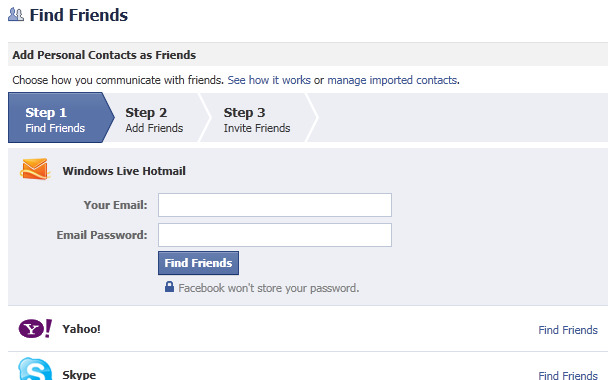 Naturally, it didn't take long before facebook started spamming the address. The email says that I have received notifications, and shows 1 message waiting. There is no message. They just wanted me to "Find my Friends". This is really deceitful of them. It's pretty much done now. A few tiny finishing touches left, but here it is! The reno continued this past weekend and this week, with a lot of smaller details being finished. 1. 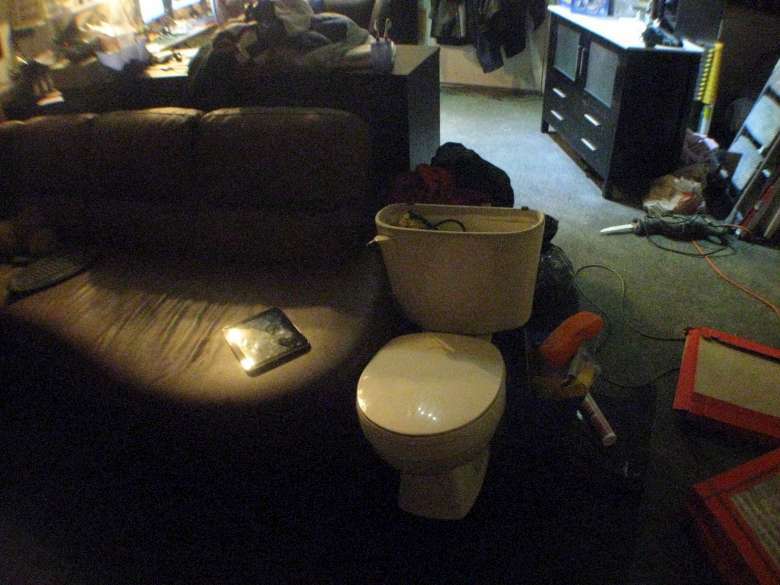 The toilet had to come out again, so now you can use the commode while watching TV. I recently spent some time upgrading PopCARD! 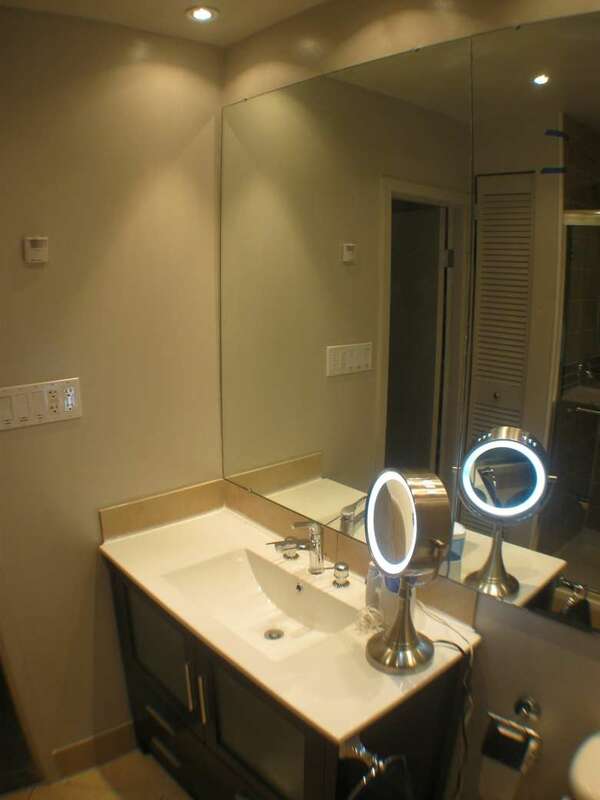 This isn't really something I'd ordinarily post here, but several friends have asked for a status update on the bathroom reno, so here are some photos. 1. 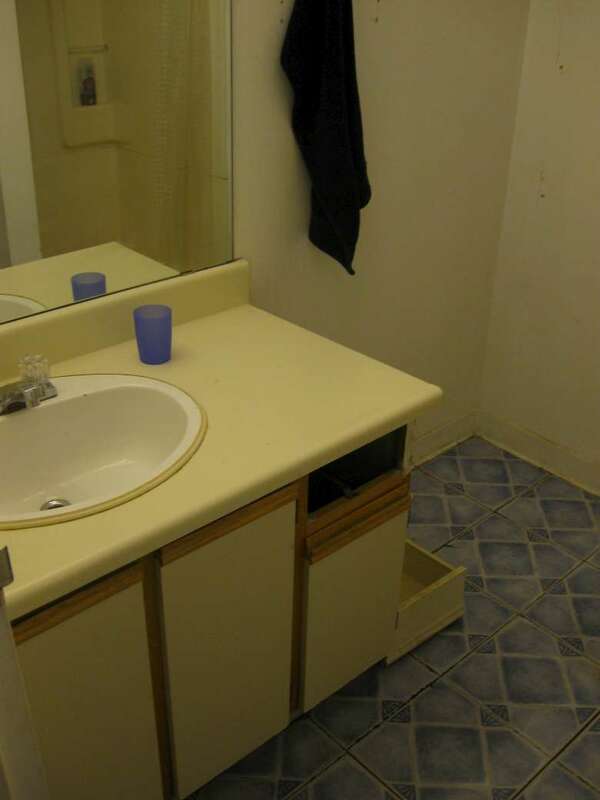 Here's how the bathroom looked before. Ugh. 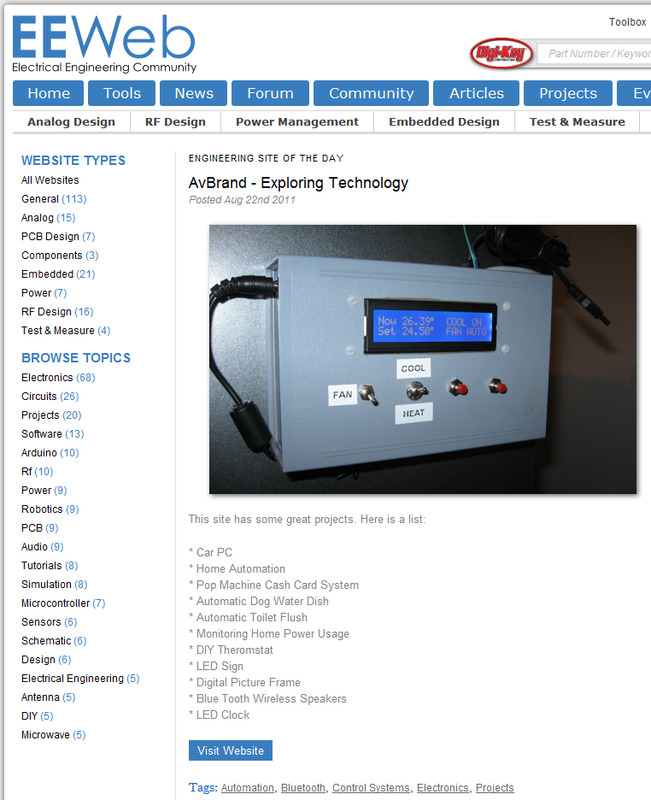 Today, AvBrand.com is the Engineering Site of the Day on www.eeweb.com ! 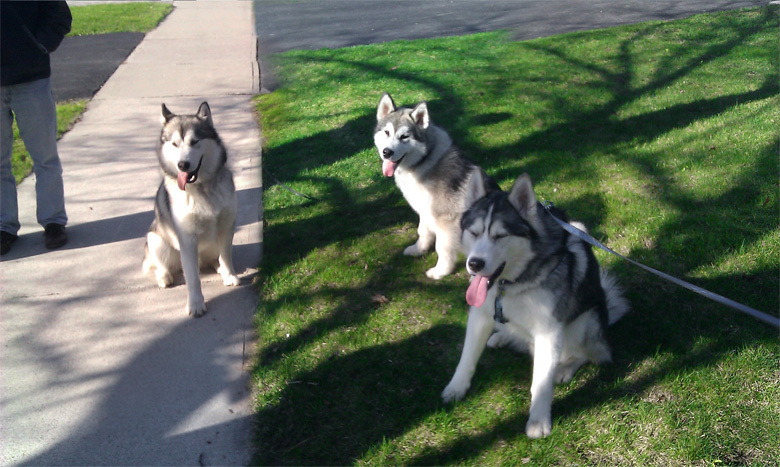 Last month we met two malamutes while out on a walk -- here's a photo of them with Taiga. 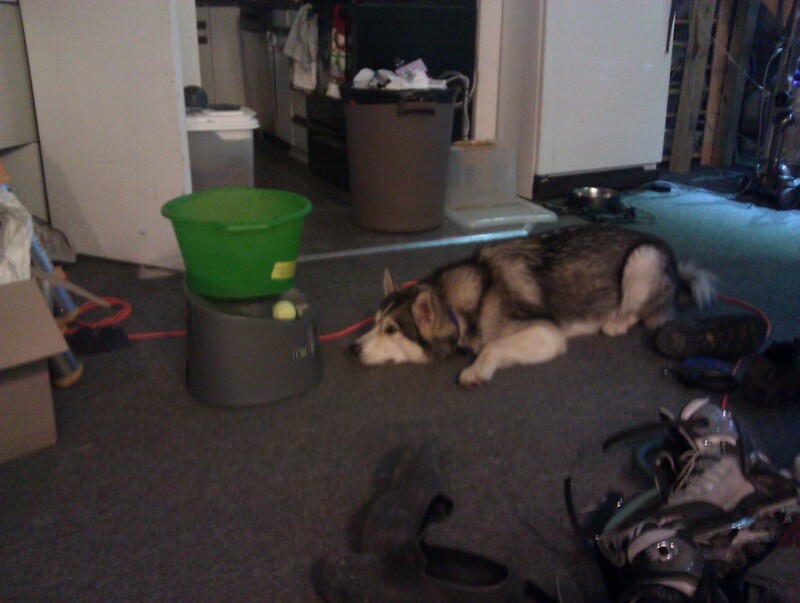 Yay malamutes! I haven't posted a photo of Taiga in a while. Today, Annie and I took a nice hike at Rattlesnake point. 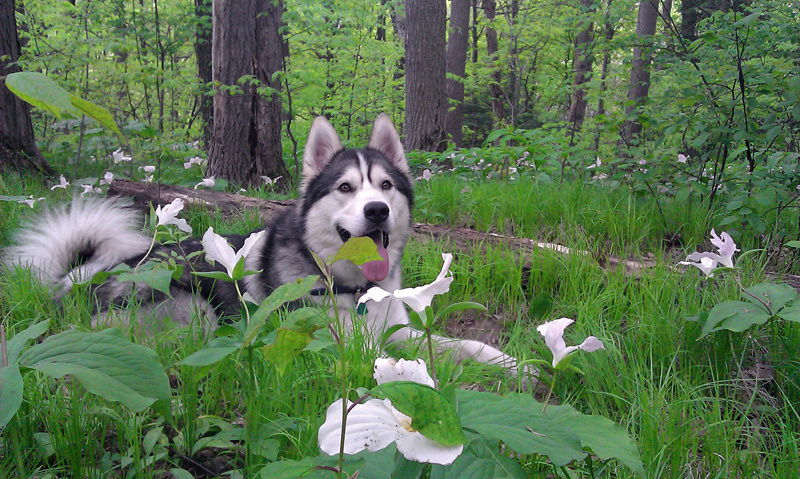 Here is Taiga amidst the trilliums. I recently purchased the book Zer0 Day by Mark Russinovich. You probably don't know Mark, but that's mainly because he's not an author. Well, actually, he is an author. But his usual domain is authoring software, not books. You see, Mark is the man who created many of the best Windows debugging and tracing utilities, such as Process Explorer, Process Monitor, and countless others. He published these as freeware under the name 'Sysinternals'. Microsoft loved them so much that they bought him out; he now works for Microsoft directly. I've been reading Mark's blog for several years. 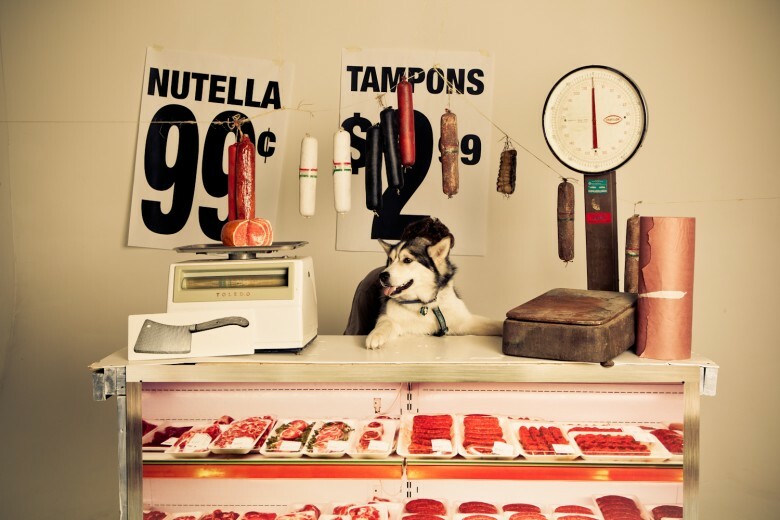 The posts are infrequent but always interesting. He recently posted that he had written an actual novel! A thriller about cyberterrorism, etc. I downloaded the sample onto my Kindle and found it interesting enough to buy. (I was initially angered over the $2 price increase for Canadian buyers even though the US dollar is worth less than the Canadian dollar right now). Reading through the book was slow. If I get my hands on a good thriller, I sometimes stay up hours past my bedtime because I just can't put it down. Unfortunately, this was not the case with Mark's book. I feel it took a long time to get going, featuring pages of scenes with nothing but dull background information and huge sections devoted to character analysis. Mark's characters also spend an awful lot of time in front of computers, and the jargon is heavy. Even I as a computer programmer felt a bit overwhelmed at times. At a few points as I forced myself through the book, I was ready to throw the Kindle across the room and stab Mark in the chest. Specifically, any time any character had an online conversation, via IM, Email, or other, they spoke in bizarre short form that doesn't resemble any kind of common or well-known internet shorthand I've ever seen before. All characters did this, regardless of age, ethnicity, language, or technical prowess. Here's a sample of a dialog occurring between characters "Daryl" and "Jeff", named "D007" and "JA33" respectively. JA33: Is thr any pln t leak t media? D007: Hello t u 2. I hdnt gvn it any thot. Wht do u thnk? JA33: We arent mkng nuff headwa. I cnt see any hrm. Wht do u thnk? D007: Less I go off reservtn it wn’t b my cll. Th secrity vndrs knw abt it alrdy. At sum point I’d think 1 f thm wud issue prss rls. JA33: I ws jst thnkng we cld gt mre rsorcs t bear if th pblc ws invlvd, + it wld pt heat on t vndrs. r thy coprtng yt? D007: Its stll prtty lw n t totem ple so fr. I kp tryng. Rtkts mean mny vrss arnt detectd. JA33: Any nw dvlpmnts I shld knw abt? D007: More BIOS wipes, prmrly Dell and HP. Thy trnd th mchns to anchr wghts. JA33: How about chat rms? D007: Sphreak name sumtim bt no help. I dnt hv nuf staff t d t as mch as Id lke. JA33: Hv u pstd ny mssgs t sphreak? D007: We tlkd bot tht n dcdd gainst t. t wld alrt hm. He’d chng hs pttrn. No one knws mch abut t gy. We fond sm psts fr spreak frm otsde. D007: Smn usng t nme dragon lady. Mean nythng t u? JA33: Dragon Lady? Someone Chinese? could b lmst anbdy bt ths isnt cmmn knwldg yt. th IT mngr at t frm is prt Chinese bt sh ddnt sy nythng t m abot pstng. Wht do u thnk? D007: Id sy sphreak hs bn tippd off alrdy. If sh hsnt tld u anythng it cus sh ddnt lrn anytng. Jeff made a mental note to talk to Sue about it in the morning. D007: NYC tomrro. Will call to meet w u if ok.
JA33: Snds good. Anytng els? D007: I think wer scrwd. I bet you couldn't even read past the 3rd line without feeling really irritated. Both of these characters are adult professionals (one is a government agent) who really should express themselves more clearly. About 80% of the way through the book, the action finally started to pick up, with the appearance of an assassin. From there pretty much right through to the end, with a few brief stops along the way, it was full steam ahead right to the climax. I stayed up until half past two this morning finishing the book. I just wish the whole book had been like the last fifth. For the first novel from a programmer-turned-author, I think Mark has made a good start. But there's a lot of room for improvement. If a second edition is published, the "leet speek" should be completely removed. 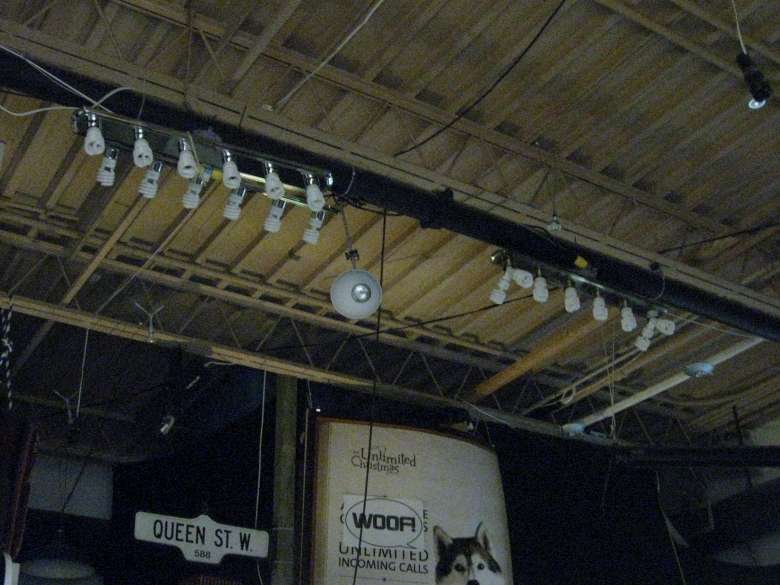 So I'm working on some lighting control software to control stage lights via DMX. I just started this software Friday evening and here's what I've got done so far. Right now I have four lighting fixtures: A scanning laser, a moving head unit, and two RGB LED "color wash" lights. 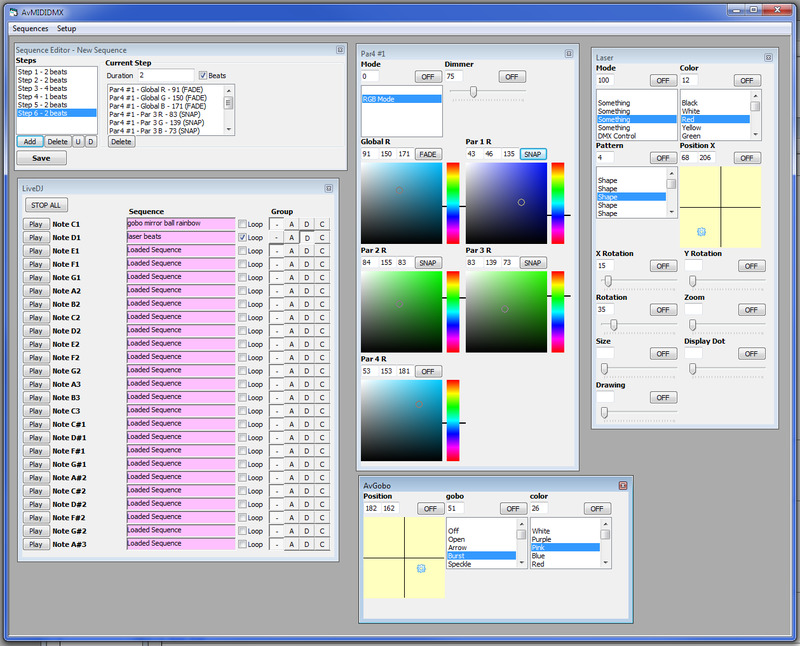 My software gives full control of all of their features, and lets you create sequences with any number of steps. These sequences are then assigned to buttons on a MIDI keyboard, allowing the lamps to be "played" as if they were an instrument. My software's look and function are heavily inspired by Freestyler, an excellent piece of freeware lighting control software. Freestyler is great, but it didn't do exactly what I needed so I figured I would write my own software. So in the last week, I built a cash card system into my pop machine. I just added a new project to my Projects section, take a look! Twitter Inc. (Based in San Francisco, CA; not publicly traded) announced Wednesday that the current 140-character length limit of its short messaging service would be increased. "We've found that there is a great deal you can say in just one hundred forty characters," Jack Dorsey, one of the founders of Twitter, stated in a press conference this morning. "But there is also a great deal you can not say. So today we are announcing a plan to increase the limit to one hundred forty one characters." "With 177 million tweets sent a day, an increase to 141 characters represents a significant investment of hardware on our end. It represents sixty (60) additional gigabytes of required storage per year." That's about equivalent to about 30,000 books, Dorsey estimated. Many critics approved of the change. "I've always found Twitter to be a study in brevity," said Professor of English Studies James G. Snodgrass at Oxford University. "This length increase will cut down on the short form and allow people to spell words properly and express themselves clearly." However, not all critics were satisfied. "It's not enough!" insisted dentist Mary H. Scrumple. "We've been asking for 145 characters for years. Isn't it time Twitter delivered?" Scrumple's sentiments were echoed by her peers in the dentistry community, many of whom disagree with Twitter's unjust 140-character limit. Regular and heavy Twitter users alike are embracing the change. "I recently had to end a tweet without a period because I ran out of space," heavy tweeter Bram K. Largonester told us via Twitter. "With this upgrade, I can finally add that missing period or excla" Unfortunately, Largonester's tweet ended there, but his meaning is clear. Dorsey revealed that the upgrade is scheduled to roll out starting in the third quarter of 2011, "Probably sometime around October." When asked about the possibility of a second increase to 142 characters or even more, Dorsey refused to comment, only shaking his head and making the "money" gesture with his thumb and forefinger. Haven't posted here in a while, just thought I'd share a quick pup photo. 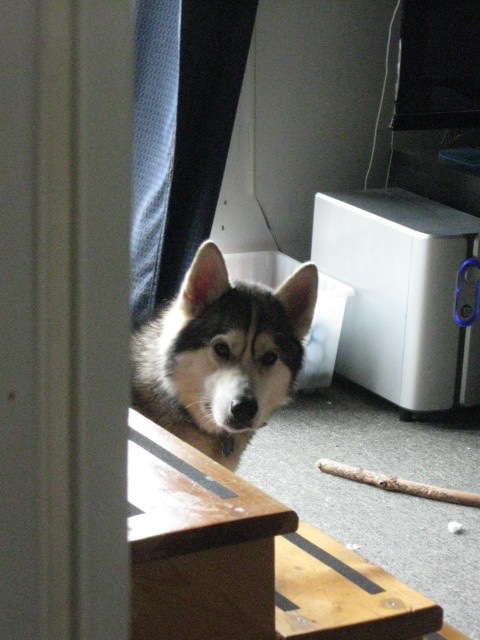 Taiga poking his head around the edge of my stairs as I open a package of treats... I just love that little mushy face! !